Enable Chicago to increase its global stature and compete more effectively. While Chicago has world class institutions, it is not able to exploit its key strengths in arts, academia, innovation and technology because each of these communities have little opportunity to work together. In each of these areas, instead of working together, Chicago-based academic institutions, tech companies and incubators are all trying to go it alone, and there is no mechanism in place to bring individuals and groups within these communities together as one. The answer, or at least a giant step in the right direction, is the IMAGINE Project. Why ? Because the project capitalizes on the opportunity to utilize the expanded Michael Reese site as a platform to create large scale collaborative clusters to enhance and grow Chicago’s key strengths - Arts & Culture, Technology and Academia. We believe that the redevelopment of the expanded Michael Reese site *is a unique opportunity for the city of Chicago. * Including adjacent properties and air rights over the Metra tracks and truck marshaling yards. Arts, culture, academic institutions and technology are Chicago’s key strengths; recognized the world over. And the 112-acre expanded Michael Reese development site provides us with a once-in-a-lifetime opportunity to cluster these key strengths into a single location. Create collaborative opportunities that will further strengthen our arts, culture, academic institutions and technology communities. Create a unique destination that will drive significant tourism, jobs and tax revenue. Drive more business to McCormick Place. Transform the Bronzeville community and ultimately the South Side through significant jobs creation, job training and STEAM education programs, local business opportunities and support, and reduction in crime. The expanded Michael Reese redevelopment site presents a unique opportunity to celebrate the City’s history and progress. And by reimagining the expanded Michael Reese site as a collaborative platform for building on Chicago’s strengths, arts, culture, academic institutions and technology, the project becomes a celebration of our future. The IMAGINE Project will change the trajectory of the South Side and raise the City’s global stature. Is a site full of potential, located where many important Chicago neighborhoods and attractions come together. This site lies on Lake Michigan and Burnham Park. McCormick Place and the Museum District are directly to the north, with IIT to the west and historic Bronzeville neighborhood to the south. Our vision knits all of these wonderful city assets with an urban design plan that is derived from each of these influences. The IMAGINE development is being deliberately planned as a vibrant, pedestrian-friendly neighborhood that will enhance the urban experience of Bronzeville residents and their South Side neighbors. Our plan includes commercial, institutional, tourism, entertainment, sports and recreational facilities, and residential. It includes a significant arts and culture component as well. The IMAGINE development is more open and will provide more connectivity to the community, lakefront parks and Metra rail station than currently exists. The Metra rail station, in fact, will be celebrated with a beautiful, bold design, enhanced by a large, European-style public plaza. The IMAGINE plan includes developing the Advocate/McDonald’s site and northern portion of the Marshaling yards into an exciting Entertainment/Recreation/Sports Zone. Directly connected with McCormick Place via a sky bridge, the Zone will feature a beautiful, hotel/office tower with additional parking for 4,000 cars. Well-spaced residential towers will be built above the Marshalling yards allowing for maximum light and air to reach the portion of the development west of the Metra tracks. The Marshalling yards will be left intact with an additional level of parking above and a series of bridges connecting the east side of the development to the west portion of the site. There will be a common color and materials palette throughout the development, but our plan is to engage a variety of talented architects from firms both large and small who will continue the great Chicago tradition of creating beautiful, inventive architecture. Over 30 acres of public parks and gardens will be created, and a public promenade or boardwalk that will run the entire north to south length of the development with bridges connecting the development to the lakefront. Chicago is a city that has led the modern movement in America. 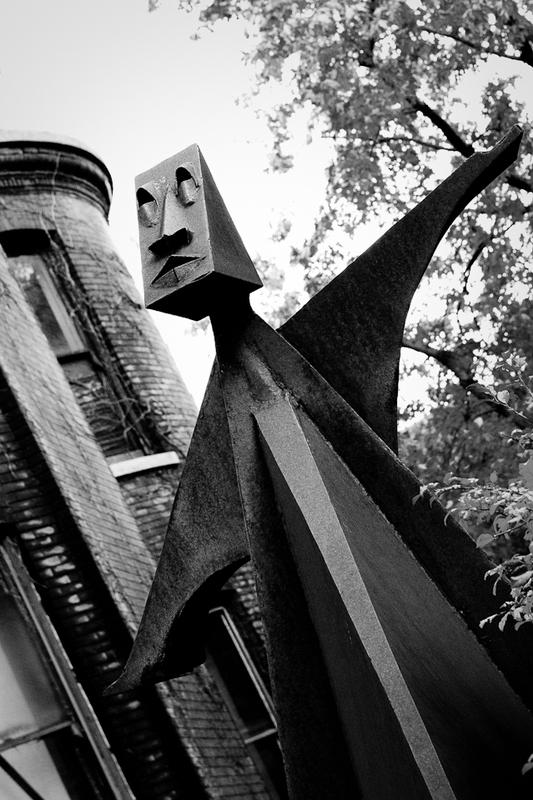 Bronzeville has been the literal cultural heartbeat of Chicago for the past century. This is also a city that has faced large-scale challenges heroically and with boldness. It is a city that has always loved the lake and daily life in wonderful parks. Chicago’s transit system has always ensured it remains among the largest, most dense and economically viable cities in America. Our proposal continues all of these great traditions and aims to build on them. By leveraging Chicago's key strengths with one another, the IMAGINE Project will be a transformative force that can provide the catalyst for necessary for innovation, growth, and opportunity for Bronzeville, the South Side, and Chicago as a whole. A. Next Generation Infrastructure: Establish next-generation infrastructure that enables residents and businesses to become more digitally-engaged. B. Every Community a Smart Community: Ensure the full participation of all Chicago residents and businesses in the digital economy through training and engagement programs that make technology relevant, useful, and productive. C. Civic Innovation: Work with civic technology innovators to develop creative solutions to city challenges. D. Technology Sector Growth: Encourage the vibrancy of Chicago’s Technology Sector by attracting and retaining STEAM (Science, Technology, Engineering, Art, and Math) professionals and supporting the creation and expansion of technology companies as well as cultural production. Smart City. IMAGINE will be the first “Smart City” in the US and will feature all of the latest cutting-edge urban technologies – smart grid, district heating & cooling, Array of Things, high speed Wi-Fi, robotics, auto-transportation and much more. Living Lab. Because the 112-acre development is completely new from the ground up, it becomes the perfect testing ground for all kinds of new and existing technologies. Collaborative Research and Applied Innovation. The IMAGINE Team is bringing together academia, government, research institutions and private enterprise to collaborate on research, development and application of technologies and social impact programs to improve urban life, and make communities, businesses and cities thrive. Our plan aims to converge Chicago's has 3 world class strengths: Arts and Culture, Technology, and Universities, into one centralised location where they might directly benefit and amplify one another. The epicenter of this activity will happen in Imagine's Innovation District we are calling The Bronzeworks. Chicago has hidden secret. We are a world leader in smart infrastructure research and development. The Imagine Project will give that research a home and more, a platform to imagine, develop, test, and deploy the technologies of tomorrow’s urban centers. 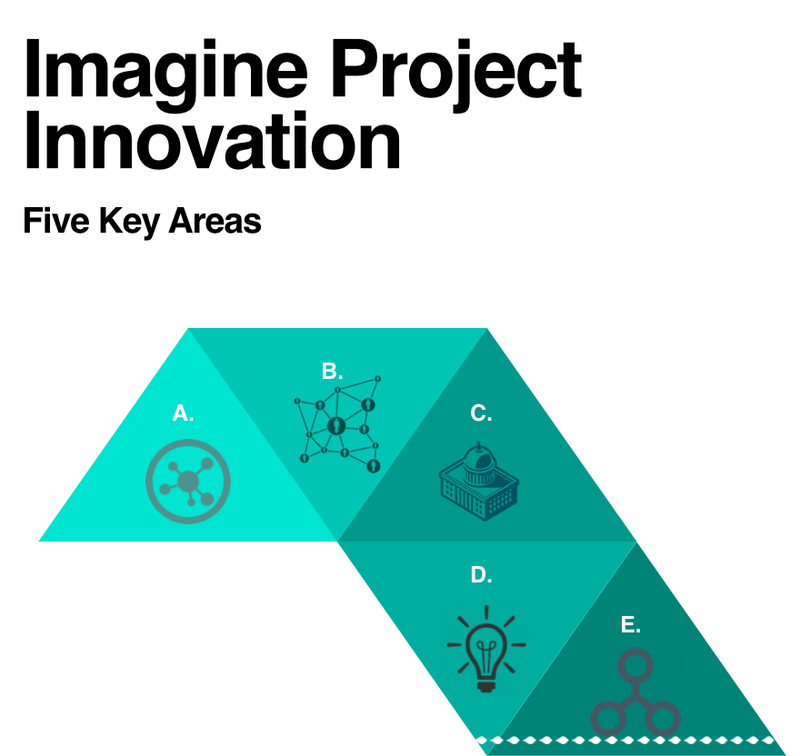 Central to the Imagine Project’s master plan is innovation through infrastructure. The convergence of cyber and physical infrastructure is transforming the way we will design and build the cities of tomorrow, deploying these new technologies on existing infrastructure however is quite expensive and disruptive. The Michael Reese site presents us with an ideal opportunity to create a smart infrastructure test bed, a living laboratory, where we will realize these new technologies and best practices from the ground up. We will forge traditional physical-infrastructure (transportation and transit systems, buildings, pipes, power grid, concrete and steel) with cyber-infrastructure (computers, networks and sensors) in ways that are just emerging and others that are still over the horizon. A wealth of Chicago companies, universities and institutions exist that are currently inventing many of these emerging technologies that will build or re-build the world's transportation, civil, manufacturing and other infrastructure. We will bring those organizations together to leverage each other’s talents and expertise while providing the catalyst and resources necessary to secure Chicago’s place as the global leader in smart city technologies. This will in turn lure more companies and investment from around the world to IMAGINE. The new technologies being forged at the BronzeWorx will need a new generation of employees to design, operate and maintain these new cyber-physical infrastructure systems. The Imagine Project sees this demand as the crucible on which a new workforce will be educated and trained. 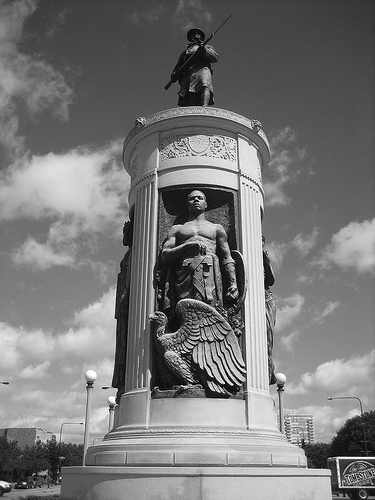 The Bronzeworx holds the potential to be the foundation on which a brighter future of Bronzeville, the greater South Side, and Chicago will stand. A cleaner city. A smarter city. A healthier city. A growing city. IMAGINE the Possibilities. True innovation does not happen in a vacuum and the Imagine Project recognizes this. True innovation requires experts from many fields to come together, the opportunity for them to play, explore, and most importantly a place to make and build things. The Advanced Manufacturing and Industrial Design Center will be be a place where the making takes place. The Center will be an industrial, state-of-the-art, Maker Space and a physical resource for Bronzeville. It will be a user facility that will allow for on-site design, digital prototyping, fabrication, and even short run manufacturing. The Design Center will also facilitate the robust fabrication and prototyping needs of the Center for Smart Infrastructure and Urban Research. Access to these resources are often cost prohibitive for small and large companies not to mention startups and independent designers. To facilitate access, we intend to offer a number of studio and office space located within the Design Center for both short and long-term/ permanent tenants. In addition, we plan to provide a host of educational workshop studios and classrooms that can be used by local high schools, universities and colleges. We also see the Design Center as an excellent resource for STEAM based after school programs and have reached out to a number Bronzeville based not-for-profit organizations to work with us on this opportunity. The Traditional and Applied Arts Center will be an educational and user facility that will promote collaboration of art, industry, and community. Its function will be to foster an environment where education and technical skills are taught through hands on training from practicing professionals. In supporting artists and ex-industrial professionals it will create a community that is enhanced by its creative network and collaborative spirit. In order to take full advantage and demonstrate the value of an Advanced Manufacturing and Industrial Design Center, a connection must also be preserved to the conventional materials, methods, and processes of manufacturing. Bridging the gap between the application of classical methodologies of production and modern day technology is one of the chief missions of the Traditional and Applied Arts Center. Chicago has a long and rich history of industrial manufacturing. Preserving our city’s connection to this knowledge and maintaining an intimate understanding of the long-established processes of the applied arts is essential to keeping Chicago designers and innovators on the forefront of applying new technologies to real world applications. Indeed, it is precisely the application of new technologies to customary methods of production that is helping make domestic manufacturing fiscally viable again in our current economy. By creating an ecosystem with arm’s reach access within our urban center to proof of concept prototyping and limited run manufacturing facilities, designers and creatives are provided with a direct connection to artisanal craftsmen and vocational experts, maintaining a reciprocity is preserved between conceptualists and producers. The scattered arts facilities that currently exist in Chicago make it more difficult for artists and musicians to work and collaborate together, and the widely scattered galleries and nightclubs discourage local arts patrons and tourists from venturing out to see them. Artists will significantly benefit from clustering because equipment, supplies and facilities will be centralized, making it easier and more economical to put together arts projects, and creates more opportunity for collaboration among artists. The clustering of a variety of galleries and live music venues (like New York, Austin and Nashville) will make it easier for arts patrons to see and hear more artists, and more efficient for artists to market their craft. Artists’ co-ops that will include affordable housing, business classes, back office and marketing help. In return for the subsidized facilities and housing, artists will teach, provide lessons, coach and mentor students of all ages. The development will also feature a variety of local traditional brick & mortar restaurants, pop-up restaurants, food hall and hospitality/restaurant business training programs. The David Lynch Foundation has also committed to developing a Health & Wellness Center featuring their award-winning youth trauma program within IMAGINE. Shared University Facilities. Because of the lack of traditional college campuses in Chicago, colleges and universities located within the city (of which there are now over 20) students, and faculty and alumni do not have the traditional kind of opportunities to socialize, study and collaborate. Growing schools require more dorms, and for political reasons, a number of these institutions are in need of neutral ground in which to collaborate with each other. University Research Collaborative. The development team intends to establish a collaborative with local universities to conduct and facilitate research focused on urban challenges and solutions, and, where appropriate, implement and evaluate the impact of new programs emerging from the research. In addition, the initiative would disseminate and apply research being conducted by other institutions and individuals worldwide into what makes people, businesses and cities thrive. Programs and consulting services also would be established to assist individuals, businesses and cities with practical solutions for achieving new heights. K-12 Education. Activities sometimes viewed as “extracurricular” are important for cognitive development and well-being. The IMAGINE development team is applying business principles in an attempt to develop a new model for expanding arts, music, dance, sports and STEM “After School” programs. Utilizing the strong pool of local arts, sports, science and tech talent, the new model will take advantage of the benefits of the economies of scale from shared physical and human resources (with a potential for satellite programs where appropriate), outsourcing to experts from specialized areas, and access to funding sources typically not available to schools. If successful, the program will provide students with opportunities to participate in a wider variety of arts, sports, science and technology programs with a more diverse population, and decrease resource constraints of schools. An adult version of the arts, sports, science and technology educational program will be provided as well. Local Business Growth Engine. The project team is committed to the long term growth of local businesses who will be needed to support IMAGINE and its various components. Businesses will be co-created with members of the immediate community, and both new and existing businesses will be given on-going entrepreneurship training, mentorship, marketing and back office help. The plan is to deliberately feature local artisans, manufacturers, service providers, retailers and restaurants, especially the businesses that utilize sustainable methods and materials. The IMAGINE campus becomes an obvious choice for companies who want to offer employees a true live, work, learn, play environment in a lakefront setting without the need to commute. The availability of land and tax incentives will enable the IMAGINE development team to offer a unique opportunity for entrepreneurs as well as established companies such as Microsoft, Sprint and IBM who are focusing on urban solutions, to co-locate and collaborate in a modern, cost effective, NetZero incubator/corporate campus only 8 minutes from the Loop. The Innovation & Technology District/Bronzeworks will provide employees with direct access to the many amenities of the IMAGINE development including much park space, first rate schools, boutique retail and restaurants, arts, sports and health & well being facilities and programs, community center, and attractive, sustainable, market rate and affordable housing in a family-friendly community. Over 4,500 construction jobs will be generated. 27,269 permanent full time jobs are anticipated to be created within the development with 7,016 of the total number of jobs expected to be created within the Innovation & Technology District alone. Over 35,000 indirect, off-site jobs will be created by the Innovation & Technology District - a figure based upon the multiplier effect that economist Enrico Moretti detailed in his book, “The New Geography of Jobs”. His study of 11 million American workers and 320 metropolitan areas confirmed that for every technology job, 5 indirect jobs are created – 2 of them professional (doctor, lawyer, etc.) and 3 non-professional jobs (salon owner, bartender, child care worker, etc.). The inclusion of a cultural component distinguishes IMAGINE’s likely economic impact from that of other urban mega-projects structured around sports stadia or casinos. Studies of the economic impact of casinos in Atlantic City (Teske and Sur, 1991) and Illinois (Truitt 1996), and of major sports facilities show that the rewards of such developments are unevenly distributed, with the multiplier effect not spreading much beyond the core industry and contributing little directly to the city aside from a short-lived construction and opening bump, largely because most people holding the better casino or sports team jobs tend to live in the suburbs. Like gambling and sports, arts facilities attract tourist dollars –in fact, museum attendance exceeds attendance at sporting events nationally. But the local direct economic impact of cultural investment is greater, in two ways. First, musicians, artists, and actors tend to live in the city, so money flows through them directly into communities within the city. Second, and equally important, unlike casinos or sports stadia, the arts disproportionately attract not just tourists coming and going, but also new residents to the city, in particular the “footloose creative class” of college-educated professionals (including those in the “grey creative class” near retirement age) who have the flexibility to relocate in Chicago or somewhere else (Florida 2009; Clark 2006). It is important to add that professionals attracted by culture do not gentrify neighborhoods but stabilize them. A Philadelphia study of the impact of cultural agglomerations on neighborhoods showed that cultural clusters create high-poverty/high-professional communities that in turn raise local civic engagement, lower the poverty rate, and increase housing values with little evidence of ethnic displacement (Stern & Seifert 2009). In stark contrast, self-contained urban casino or convention centers have done significant harm to their surrounding neighborhoods: in Detroit, the urban fabric was obliterated to create superblocks surrounded by parking lots and two failed casinos; in Philadelphia, the Convention Center turns its back on Chinatown (Ryan 2010; Sanders 2005). Hudson Yards’ first iteration, before it abandoned plans for a stadium in favor of a cultural facility, foundered in no small part because it was perceived by the neighborhood as a threat rather than an opportunity (Halle & Tiso 2014). Mega-projects anchored by a stand-alone cultural facility can fail as well, to be sure. Newark’s NJ Performing Arts Center languished for more than a decade after launch; Glasgow’s investment in major arts venues in conjunction with its designation in 1990 as a “city of culture” failed to revitalize that city’s downtown as well. In both instances, what was missing was the essential recognition that cultural infrastructure investment, done right, fosters sociability – not feeding coins into a slot or yelling at the ref, but an intimate public sphere in which people from different industries, walks of life, and parts of a city can come into conversation with each other, providing bridging social capital to the disadavantaged while knitting together communities. That kind of clustered interaction, economists have argued, also facilitates innovation via the spillover effects that occur when there is informal sharing of ideas between different kinds of industries (Glaeser 2001). This indirect impact on the city’s economy from cultural activity is arguably more important than the direct impact from an increase in jobs within the cultural sector alone: a 2007 report (Rothfield 2007) indicated that the employment rate in Chicago’s music industry does more to drive the city’s overall job growth than the crime rate or even per capita income. IMAGINE recognizes the importance of investing in culture in a way that maximizes its value as “soft infrastructure”. That means going beyond referencing “culture” in the vague, add-on way Hudson Yards’ more recent plan incorporating culture has done (giving rise to anxiety and resistance from local communities to the possibility that boat shows might be brought in under cover of the word “culture”). To reap the social and economic benefits possible from a cultural component, it must be integrated holistically into planning from the get-go, as IMAGINE does. Internally, cultural activities are most impactful when thought of holistically, rather than in terms of a single art form – music, dance, theatre, etc. -- and a single aspect of that art form (i.e. performance versus training, exhibition versus art-making). One reason Glasgow failed was that it neglected to include new music and film studios or design and fashion centers (Garcia 2004). IMAGINE’s cultural component, in contrast, ties its music museum to clubs, its foundries to galleries. Externally, a development’s cultural components are more effective when knitted into cultural assets available in the surrounding community. In this regard, IMAGINE faces a challenge insofar as, unlike Hudson Yards, there is no Chelsea art scene, no High Line, and no fashion industry abutting it (Evans 2003). Those already-developed assets make programming easier while also limiting the options for further development. But Bronzeville has enormous reserves of relatively underdeveloped cultural and creative assets, and IMAGINE is designed to take advantage of them -- through a music museum recognizing that gospel, blues, jazz, and polka are Chicago innovations as well living cultural treasures, through a dance center, through galleries that will bring to light the vibrant hitherto underground South Side art scene (Grams 2010). To be maximally impactful, however, culture needs to be knitted not just to itself but to work and to the kind of learning that leads to work. That requires thinking of culture as itself a kind of work, something that a number of mega-projects have paid lip service to by embracing industrial architecture and naming their arts center a Shed (Hudson Yards), Powerhouse, Gasworks, Leadmill, Printworks, Foundry or Factory (Evans 2003). But Imagine doesn’t just talk the talk, it also walks the walk: the foundry here is a real one, and artists are going to work alongside designers; students from vocational schools will be engaged in hands-on ways. Imagine is designed to generate a very powerful kind of social and cultural scene – one where pleasure in working hard together is celebrated, appreciated, and embraced (Silver & Clark 2016). This is a most appropriate approach for The City that Works. Clark, T.N. (2006) Superstar Cities and The Grey Creative Class: Lifting the Curtain on Dynamics of Cities,Amenities, and Culture. Working paper. Evans, G. (2003) Hard-Branding the Cultural City: From Prado to Prada, Internataional Journal of Urban and Regional Research, Vol. 27, No. 2, 417-40. Garcia, B. (2004) Cultural Policy and Urban Regeneration in Western European Cities: Lessons from Experience, Prospects for the Future, Local Economy,Vol. 19, No. 4, 312–326. Glaeser, E., et. al. (2001) The Consumer City, Oxford Journal of Economic Geography, 1, pp. 27-50. Scott, A. J. (2000) The Cultural Economy of Cities: Essays on the Geography of Image-Producing Industries (London: Sage).